Joan has another block of the month for you, starting Saturday, March 16th! This is a new offering from McKenna Ryan and is very cute! If you have never done fusible applique, this is a great place to start. We won't be creating kits for this quilt, so make it a planned quilt with the fabrics of your choice or it's a chance to use up some of your stash! 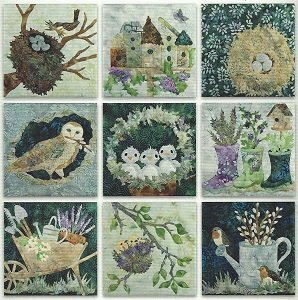 Click here for the Nesting Block of the Month supply sheet.